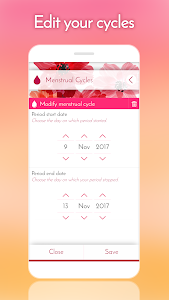 Period Calendar is an extremely elegant and easy-to-use application that helps women keep track of periods, cycle, ovulation, and fertile days. 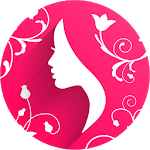 Whether you are concerned about conceiving, birth control, contraception, or regularity of period cycles, Period Calendar can help. Our tracker is easy to use and offers everything you need: Track irregular periods, weight, temperature, moods, blood flow, symptoms and more. 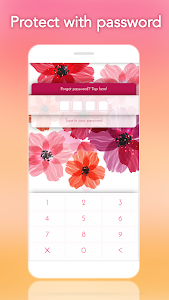 Discreet reminders keep you informed and prepared for upcoming periods, ovulation, and fertile days. The calendar is great at predicting fertility, ovulation and periods. The app adapts to your cycle history and accurately predicts the key days that interest you. See everything you need at a glance on the calendar home page. 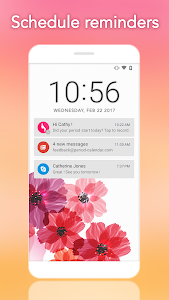 Period Calendar protects your most private data—the calendar can be password locked, keeping your information hidden from prying eyes. Easy backup and restore of your data to protect against device loss or replacement. Elegant and sophisticated, just like you! 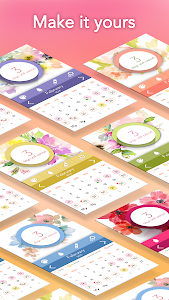 This highly customizable period tracker and pregnancy planning calendar is perfect for every woman. 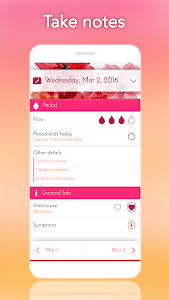 Download our period calendar free today! Similar to "My Calendar - Period Tracker"